Sally Rippin has previously brought readers of younger junior fiction the series of Billy B Brown and Hey Jack! 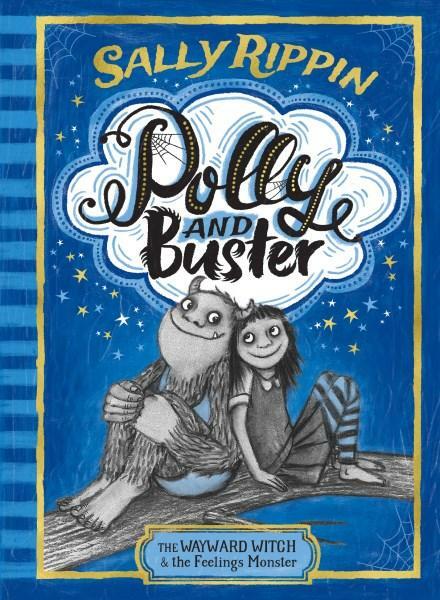 The Wayward Witch and the Feelings Monster is the first page-turning book in Sally's new series, Polly and Buster. This series is perfect for the more advanced readers of junior fiction books. It encompasses themes of family, friendship, learning difficulties, loyalty, acceptance, emotions, bullying and prejudice in a sensitive, non-preachy manner. In the story The Wayward Witch and the Feelings Monster the reader is introduced to Polly Proggett, a young witch who has immense problems with casting spells and making friends at school. Polly's favourite teacher, Miss Spinnaker, tries to help Polly by placing her in a group of very good potion makers. However, Polly is too embarrassed to ask for help and as feared the wart disappearing potion goes disastrously wrong. Polly is teased by Malorie Halloway which fuels Polly's temper and she squirts the wort potion into Malorie's face, causing a catastrophe. The situation leaves Polly with a heavy heart, wishing that she could do things right and be liked by other witches. At home things are just as difficult. Polly's once happy family of four became a family of three after her father was killed in a mine accident. Her sister, Winifred, is good at everything and appears to take great delight in spying on Polly and constantly getting her in trouble with their mother. Luckily, Polly has her monster friend, Buster. 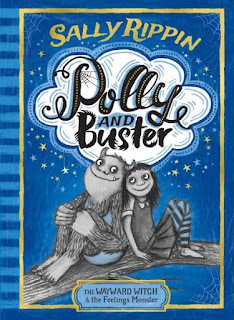 Their friendship is very important to Polly as Buster has an wonderful ability to make her feel better, 'And even if you never find that thing you are good at, you will always be special to me'. Buster has a secret ability, he is a feelings monster whose body changes shape and size with his emotions. While Polly loves Buster, she is greatly conflicted by the pressure she feels to not acknowledge their friendship publicly, as it is socially unacceptable for a witch to be friends with a monster. In the world that Polly and Buster live in, there is segregation between witches and monsters. One example of this segregation is that monsters must sit at the back of the bus, 'After all, a monster must always know their place.' Polly cannot understand why this prejudice towards monsters appears to be gaining momentum within the witches and warlock community. She finds her own loyalty towards Buster challenged when both their schools attend an excursion at the National Gallery. At the National Gallery Miss Spinnaker assigns Polly and Malorie as partners, hoping that the girls could learn to work together. During the excursion Malorie realises that Polly is a talented drawer and the girls begin to form a friendship. Polly likes this feeling of acceptance and having a witch as a friend. To protect this new friendship Polly chooses to deny knowing Buster when he starts to wave at her and call her name. Her actions causes Buster to shrink into a small grey ball which makes him a target for the other monsters to bully. Will Polly help Buster or will she do whatever it takes to be friends with Malorie? The consequence of Polly's choice will create other difficult decisions for Polly as the story unfolds. Will she loose a friend? Will she be popular at school? Will she join the movement against monsters? And will she ever cast a spell that works? The Wayward Witch and the Feelings Monster is a great first book of a new series, that leaves the reader wanting to know what happens next. Sally Rippin has created a thought-provoking story with dashes of humour. The characters in the story are complex, emotional and intriguing. The book is produced with the reader's level in mind, with a text size that is appropriate and Sally's illustrations gives the reader some glorious visuals to look at while reading. The Wayward Witch and the Feelings Monster is a spell-binding story, please excuse the pun. Teachers Notes for The Wayward Witch and the Feelings Monster are available here. If you would like to read Sally Rippin's answers to our 12 Curly Questions see here.